The Barrow shipyard has confirmed it is bringing in a team from America to advise on the late-running Astute submarine programme. BAE Systems is up to three years behind on the contract to supply three Astute submarines to the Royal Navy. The company said bringing in the team of engineering management staff from General Dynamics Electric Boat is the latest step in trying to resolve the situation. They will work alongside the Astute team in Barrow for two years and some design work will now be carried out in the United States. 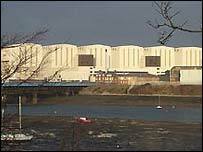 The company has denied there will be any effect on the Barrow workforce. BAE said the move will allow both sides to share best practice and for Barrow to learn from the Americans' Virginia Class Programme. It said the expertise would benefit both Astute and UK submarine building in general. Electric Boat will also undertake work at the company's Groton yard to support the design effort on Astute, with BAE Systems and UK MOD staff working at Groton.